While interest rates may be low, with little expectation of that changing anytime soon, an increasing number of Canadians do not believe that it’s a good time to buy a home. A survey by Manulife found that just 25 per cent of those who currently rent plan to become home owners in the next 12 months despite 80 per cent saying that it’s their primary goal. Among the 35 per cent of respondents who say that now is a good time to buy, low mortgage rates is the main reason (71 per cent) followed by “a secure investment” (45 per cent). For the 23 per cent who say that it’s not a good time to buy, 72 per cent felt that homes are unaffordable, 32 per cent said the housing market is volatile and 20 per cent were concerned about their own finances. 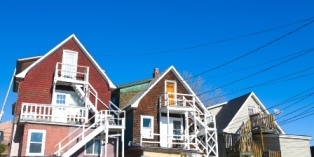 Those in Atlantic Canada were almost twice as optimistic that it’s a good time to buy than those in British Columbia (45 per cent vs. 23 per cent).